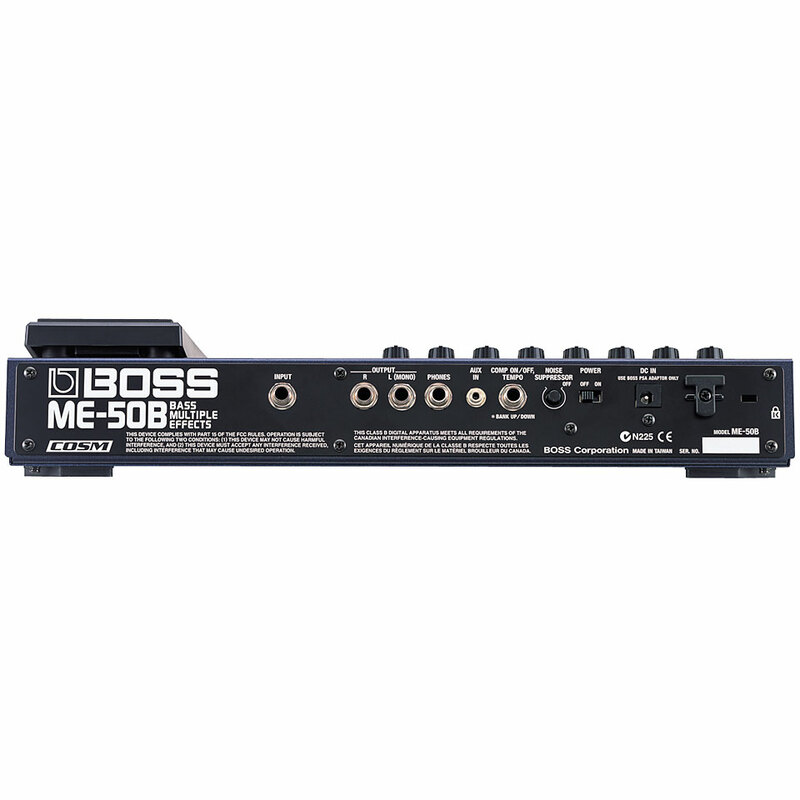 Boss realized that many bass players love their amps and may not need the GT-6B amp/speaker modelling. 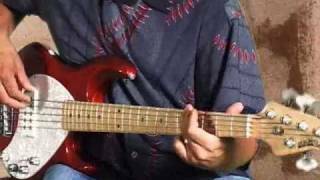 Also, a lot of bass players love easy-to-access, manual mode effects. 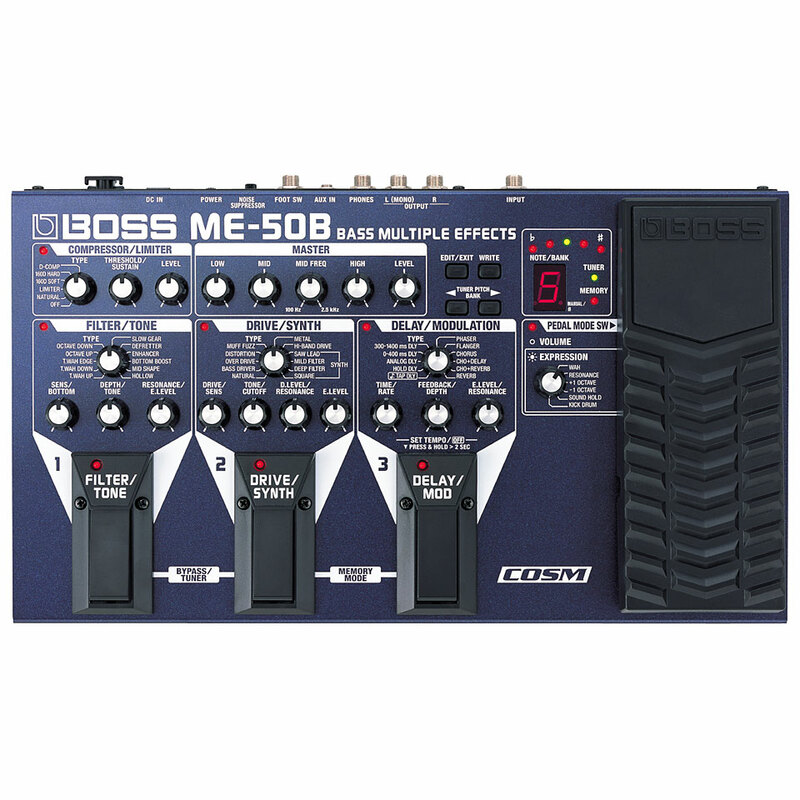 So here comes the BOSS ME-50B with world-class bass effects in a rugged floor unit with easy pedal-style control. Effects are divided into six sections (Compressor/Limiter, Master EQ, Filter/Tone, Drive/Synth, Delay/Modulation and Expression Pedal), giving bassists a range of unique and powerful tones including new effects like Sound Hold, Octave Up and Kick Drum - all with easy knob-based control. The modelled compressors are PERFECT for bass; the defretter really sounds like a fretless. The innovative Sound Hold function sustains a low note while playing over it and you also have Sound On Sound recording, this time with new Kick Drum effect for keeping time. A handy “Octave Up” effect adds a note one octave above the original while retaining your natural bass sound - complete with adjustable drive on the octave-shifted note. There are tons of synth-like filtered sounds. This is the piece no bass player should be without! Dedicated knobs for each effect section - no menu-surfing! Everyone knows that the fundamentals of good bass tone are compression and EQ. 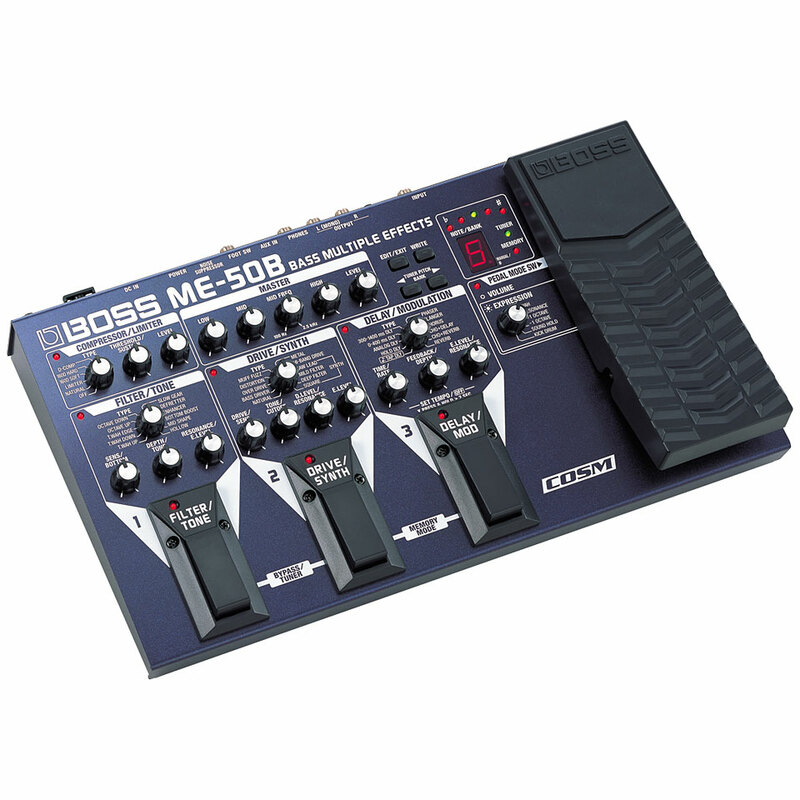 That’s why the ME-50B features two dedicated sections for these essential effects. The ompressor/Limiter uses advanced COSM modeling—including a “Natural” compression setting that retains the nuances of your playing—to give you tight, punchy tone. Simply select the compressor “Type” and adjust the Sustain/Threshold knob to get the tone you want. The Master section includes a 3-band EQ with a sweepable mid for precise tonal shaping. Dit product is met gemiddeld 4.3 van 5 sterren beoordeeld. Er is nog geen schriftelijk rapport opgegeven. 15 Beoordelingen zijn zonder tekst opgegeven of in een ander taal geschreven.